Payment cards and jewellery were among items stolen and properties damaged during recent burglaries in Crawley. 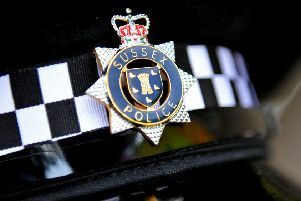 Sussex Police have released details of incidents this month. - On November 10, Hollybush Road, entry to the property was gained via smashed glass on the patio door. Items of sentimental value were stolen and jewellery. - Rear door was damaged in order to gain entry to a property in North Road on November 10. - A property was broken into in Green Lane on November 10. Access was gained through the back door. Cash and payment cards were stolen. - A property was broken into around Vancouver Drive on November 11. Entry was gained through the window at the front of the house.